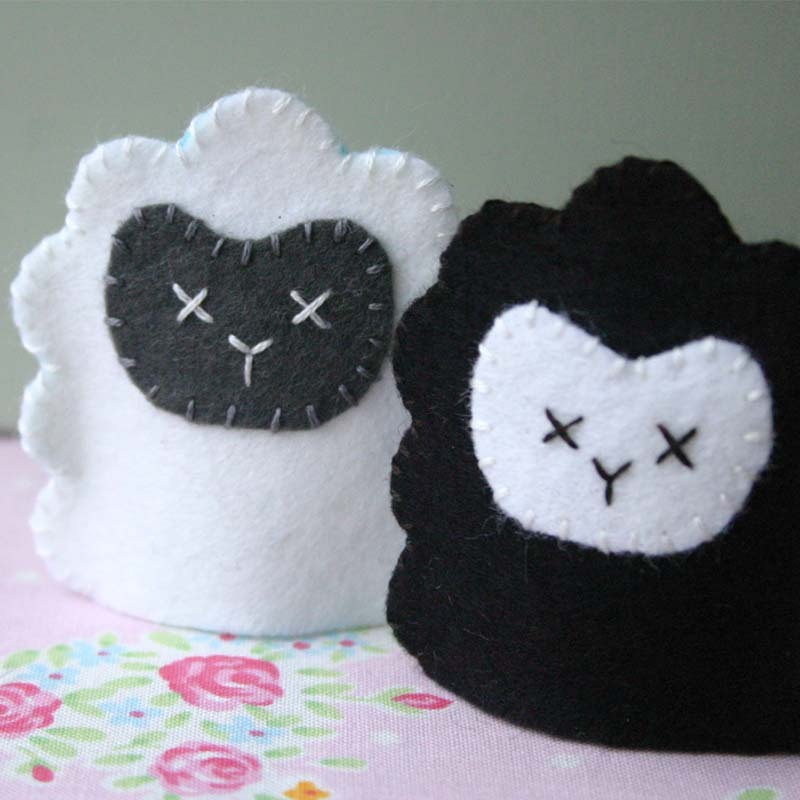 I am so excited, my first ever Finger Puppet sewing pattern is now available! 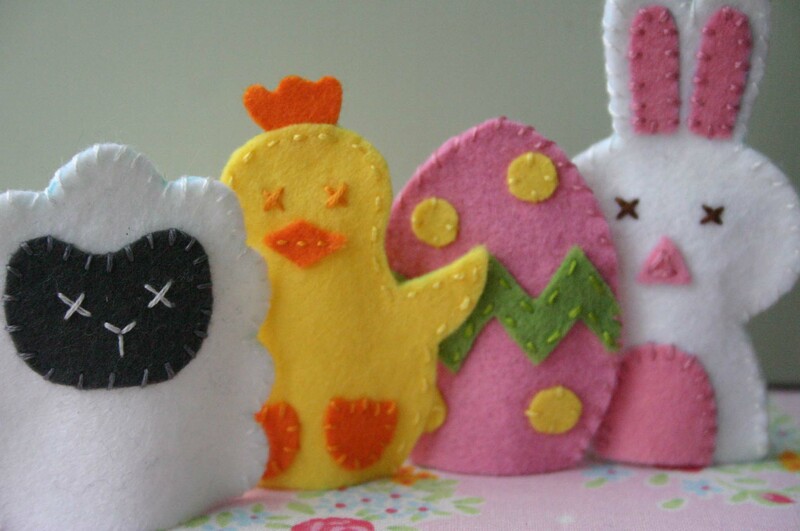 That sweet little bunny that I designed the other week has now been joined by a few Easter friends….. 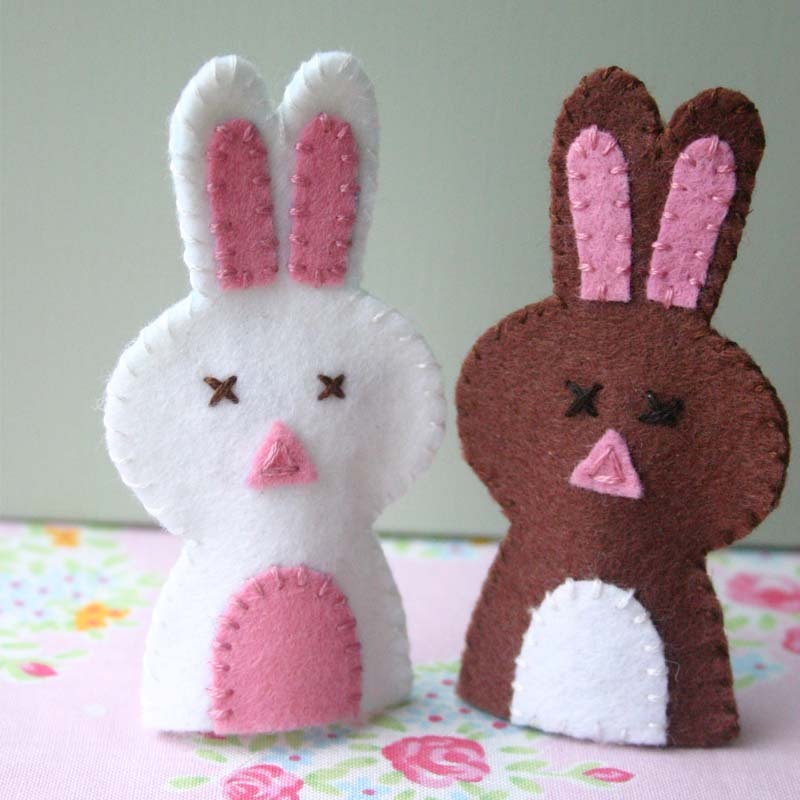 So, we have a Bunny, which you could make in white and pink or for a different kinda look how about a brown bunny with a white tummy and pink ears? 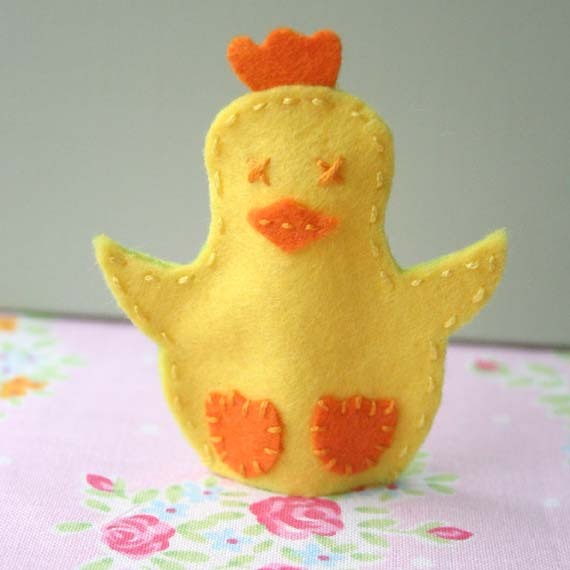 and finally an Easter Egg, which you could make in any combination of colours that you fancy! 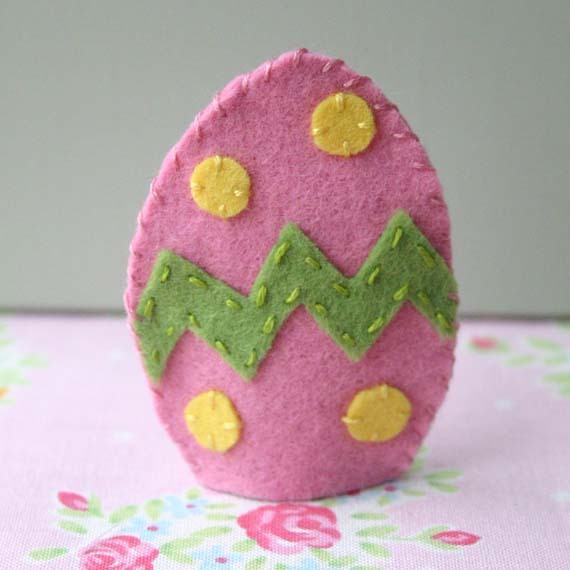 How about a light blue egg with a pink zig-zag and green spots? p.s. I still haven’t finished that something else that I should have been working on! Thank you! There are more to come…..